Deciding to renovate before you sell your home on your own can add real equity to your home and help you get top dollar on your sale. According to the Remodeling Impact Report issued by the National Association of Realtors, American homeowners spend upwards of $325 billion on renovations each year. But which updates recoup their cost and appeal most to buyers? For example, you might think you need a complete rebuild of your master bathroom when a cosmetic fix-up will fetch a better return. Here are the seven steps to follow when planning a home renovation. First, make a list of what could be improved around your home. Educate yourself about what each renovation will actually cost, including labor. When it comes to determining these figures, you have multiple online resources at your disposal. However, keep your individual market conditions in mind — remodeling costs can vary significantly based on your location. What’s a fair but realistic asking price for your home? What is your home worth in its present state? The difference between those two numbers is the maximum amount you can spend on renovations, and you’ll probably want to aim much lower so as to maximize your profits. Pick the right projects and be smart about spending your renovation dollars, stretching them whenever and wherever you’re able. A house is a home. Of course you have feelings about the property you’re about to put on the market. But buyers don’t have that same emotional attachment. Moreover, they are shopping for the best deal based on their own criteria. Keep your assessments rational and budget-centric. Just because you never liked those window treatments doesn’t mean they will even register in the eyes of a potential buyer. Kitchens, bathrooms, and curb appeal sell a house, or so the saying goes. If any of those three areas seem outdated or unappealing, make a point of sprucing them up. Small, inexpensive fixes — such as a fresh coat of paint or more modern fixtures — can make a world of difference. Consider the cost and impact of these more modest renovations before you go tearing down walls or replacing flooring. Your home’s first impression matters. Drive-up appeal is a major selling factor. Not to mention that photos of your home’s exterior are the first thing a buyer will see when browsing listings online. Don’t confine your renovation efforts to the rooms inside your home. Some paint touch-up or a good power wash can make a huge difference. Ditto landscaping. Trim trees and bushes if they’re blocking the view or look overgrown. Make sure your beds are weed-free and contain fresh mulch. Even consider planting some pretty flowers if they’re in season. Now that you’ve made updates to your home, highlight them in your listing photos. If you freshened up a guest bathroom, make sure buyers can appreciate all that effort. You’ll also want to mention any renovations in your listing description as well as any flyers you print up for open houses. 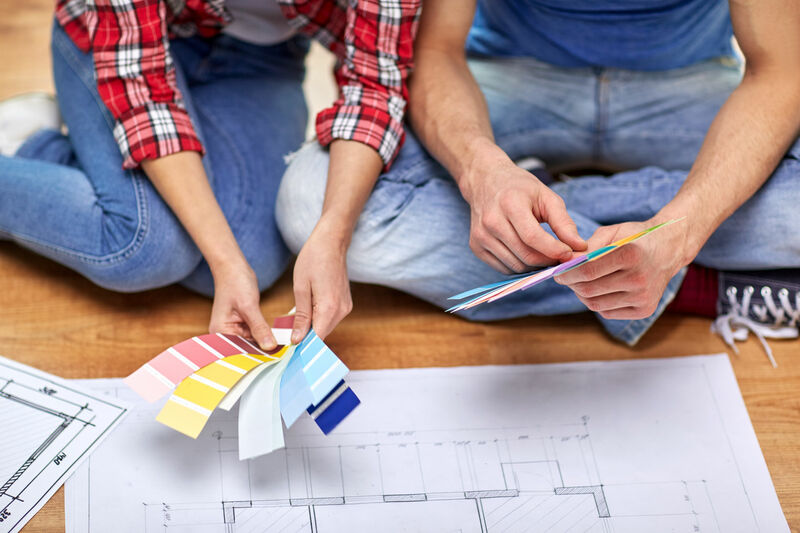 With hard work, research, and a discerning eye, you can choose renovations that will maximize your home’s value and net you the best return on your investment.